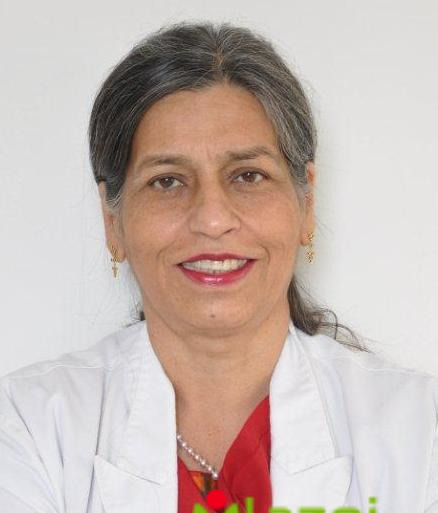 Dr. Meera Luthra is a Pediatrician Surgeon at Medanta in Gurgaon (Gurugram). She is associated with Medanta in Gurgaon (Gurugram) and provides OPD as a Pediatrician Surgeon. Dr. Meera Luthra is a Pediatrician Surgeon with wide and varied clinical experience and expertise in Lumps Surgery, Hernia Surgery, Choledochal Cyst, Pediatric Urology, Antenatal Counseling, Pediatric GI Surgery, Biliary Atresia Surgery, General Pediatric Surgery etc. at Medanta in Gurgaon. Dr. Meera Luthra is an expert in managing patients of Congenital heart diseases, Immunisation and vaccination, Childhood gastrointestinal infections, Congenital bone and joint malformations, Neonatal resuscitation, Premature baby, Childhood endocrine disorders, Congenital gastrointestinal malformations, Childhood respiratory infections, Childhood urinary tract infections, Childhood bone and muscle disease, Childhood nutritional deficiency disorders etc. at Medanta in Gurgaon. Dr. Meera Luthra has completed her MBBS, DNB (Pediatrics), MS (General Surgery) and M.Ch (Pediatric Surgery) to be a pediatrician surgeon. She has also been awarded for Best paper presentation for a paper on Trauma Index, orthern Chapter of Association in 1982. You can book an online appointment with Dr. Meera Luthra on www.Lazoi.com. 1. Member of Indian Association of Paediatric Surgeons. 2. Member of Association of Surgeons of India. 3. Member of Indian Academy of Paediatrics. 4. Member of The Paediatric Endoscopic Surgeons of India. 7. Member of Executive member & Hon Sec Delhi Medical Association.